This week I thought I'd write about something that I LOVE. Vintage furniture buying, or treasure hunting as I prefer to describe it. Im a little bit obsessed with it and have been know on many occasion to swerve the car, with the kids screaming ‘MUM’ as I drive by and spot something outside a shop and make us quickly pullover. Or organise a ‘family 4 week summer holiday camping trip’ to France, with Brocante and Vide Greniers top of my list and actually the real reason for the choice of destination. Don’t get me wrong we had a lovely time, but there was a very clear plan in my mind and we absolutely HAD to take the long route and drive slowly through all the villages incase a Brocante sign popped out. Which they did on many occasion and the kids were dragged round another run down dusty old shop, listening to squeals of delight from me as I rummaged through all the treasures. Poor kids!! We did get to the beach in the end, but lets just say that the van was a little bit heavier and every time we packed up camp and moved, ‘Mums bags of old junk’ had to be very carefully placed between all the sleeping bags and pillows, just to be safe. God forbid anything would happen to my beautiful hand painted 1 Euro blue jug vase! 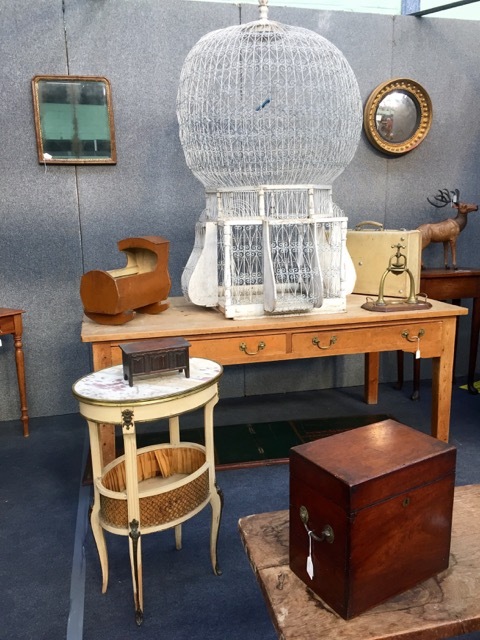 Anyway, I’m well aware not all of you will have the time or the inclination to go Brocanting in France and actually you don’t really need to. 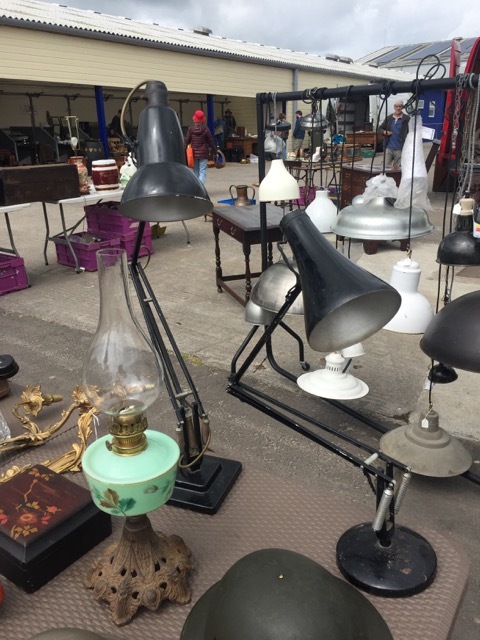 There are some fantastic places in the UK to buy vintage; flea markets, antiques fairs, vintage markets, independent specialised shops, reclamation yards and of course EBay. If you are a novice or haven’t the time, I know this can all feel a little overwhelming, so I have written a guide on how to get the best out of a market or fair, with insiders top tips to get you hunting and buying like a pro. 1. Have a think what you might need or want and make a little list. It is so easy to loose your head when you get there and see all the amazing things. A list just helps to bring you back a little. 2. Also take measurements of alcoves, wall dimensions, mantelpieces etc. before you leave and write them down or put them in your phone. Nothing worse than buying set of drawers and getting them home to discover they don’t fit! 4. Take a sandwich and a flask of tea, bottle of water or beer. I get a bit anxious at the flea markets, I’m petrified I’m going to miss out on something amazing so don’t want to waste time queuing for food. I ALWAYS take supplies with me in a small bag and eat on the go. 5. Take some fold up bags. Traders often have plastic bags but in my opinion they usually cheap and break and we don’t want to damage our goodies. 6. Empty the boot of your car. Nothing worse than buying a beautiful chair or mirror and realize you cant fit it in. 7. Give urself plenty of time. You may think you can have a quick browse, but I can assure you this isn’t possible. Way too much lovely stuff. 8. Go on Traders Day. This really only applies to weekend fairs and the entry price is a little more expensive but definitely worth it. You get to rummage before the whole world and his dog turns up. 9. Get there early. At the start. This is essential!! 1. Have a rough budget set out, it’s really easy to get carried away and before you know it you are rushing to the onsite cash machine or trying to trade in your watch. 2. My advice is to go in the opposite direction to everyone else. For some reason when you enter a fair most people tend to all move in the same direction. I go opposite so you can get the bargains before anyone else. 3. Look amongst the tat. 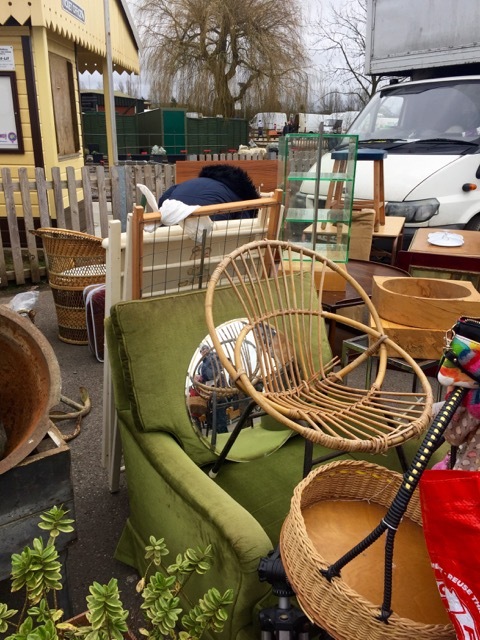 Have a good rummage; pick things up (ask first). 4. Don’t be put off by dusty dirty things. 5. Look for things you can paint or up cycle. 6. Haggle. This is an absolute must and if you see something you like, don’t look too interested. 7. Once you have bought a few things, you don’t really want to be lugging them around while you carry on looking. I generally ask the sellers if I can collect at the end of the day. Ask them what time they are packing up and make a note or take a photo of where they are. I once spent an hr at the end, searching for a white van amongst hundreds of white vans to collect my chandelier. 8. Strike up a conversation with the sellers. Many of them come from Europe or have things sourced abroad and have a fantastic story to tell. They often love it if someone expresses an interest in their wares and will be more likely to give you a good price. 9. If you see something you really like but are a bit unsure, walk away. Its really hard to make decisions on the spot and 10 mins away will help you decide if you really love it or need it. 10.Don’t let the good one get away. If after 10 mins you really want it, go back. I’ve been haunted by things I’ve decided not to get. To this day there are still things that cause me pain, when I think about them. 11.Ask the seller if they have a business card. You never know, you might get home and decide you really want that Italian nest of tables. 12. Ask if they deliver. Alternatively, if its all just a bit too much or you really haven’t the time, I can do it all for you. My vintage sourcing package can be as simple as me finding old frames for your gallery wall or going the whole hog and kitting out your whole house or business. Please get in touch and lets see what we can do for you.